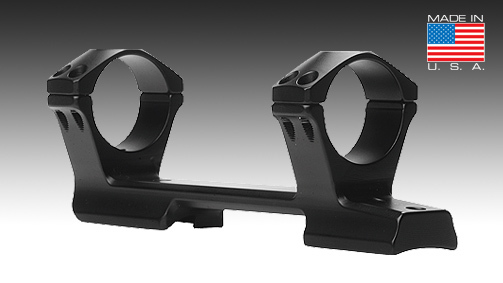 Direct Mounts - Rem 700 (Aluminum) | Riflescopes & Sport Optics | Nightforce Optics, Inc. This Nightforce system combines a high quality CNC machined 7075-T6 hard anodized aluminum base with an integrated ring design. Built to mount directly to your Remington 700 short or long actions, the 20 MOA taper maximizes internal adjustment. The Direct Mount ensures true alignment and maximum strength for precision shooting. Like all Extreme Duty Nightforce mounts, it incorporates an integral recoil lug which prevents any movement of the base or stress on the screws attaching the Direct Mount to the receiver. It is the ultimate in a weight-saving one-piece design.